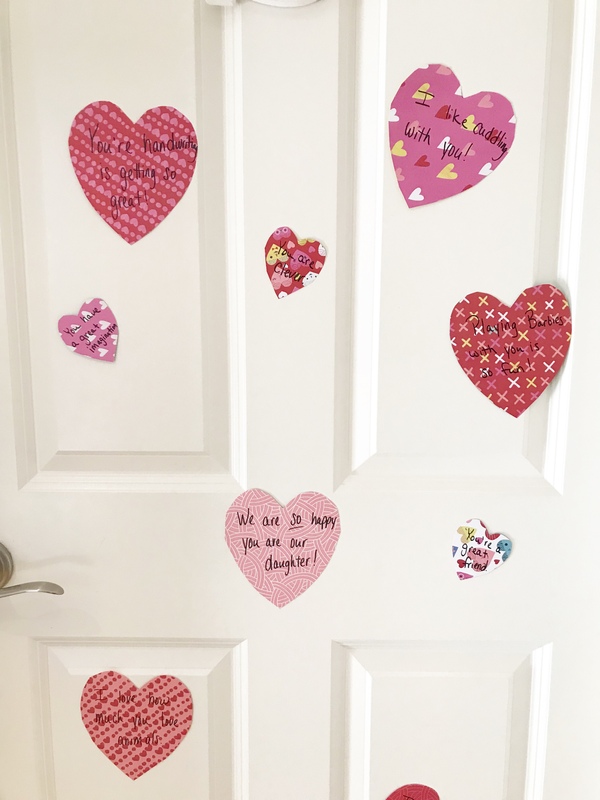 Do you ever feel like most of your interactions with your kiddos are reminding them to do something, asking them to stop bothering their sibling or rushing them out the door to an activity? It’s so easy to get stuck in the everyday minutiae of parenthood. 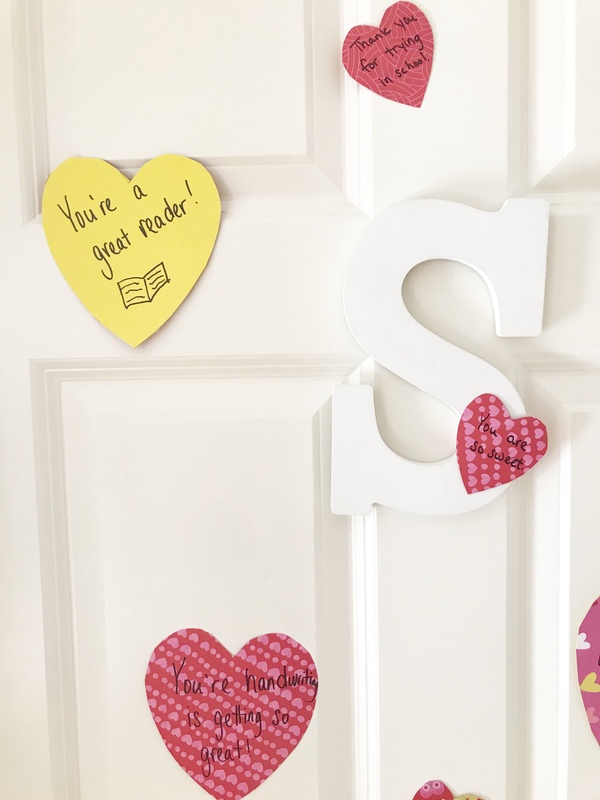 I know I personally fall in the trap of focusing solely on getting my kids from task to task and through their daily routines that our interactions become a bit business-like. So, I decided I needed to take a step back and ensure I’m really making them feel special. 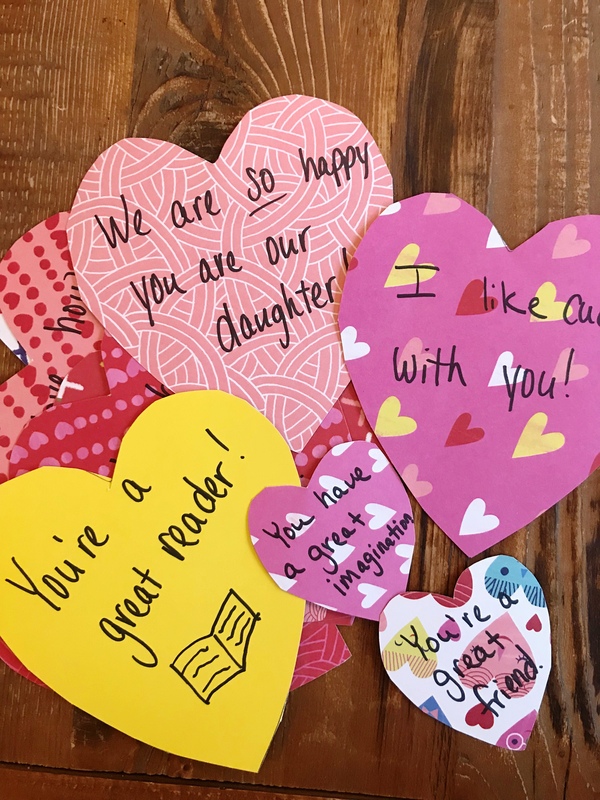 Yes, I tell them all of the time that I love them, but is that really filling their “love buckets”? I knew I need to shake things up a bit and be more specific with my words. And, as Valentines Day is coming up, I figured it was the perfect time to put my plan into action. What is my plan? 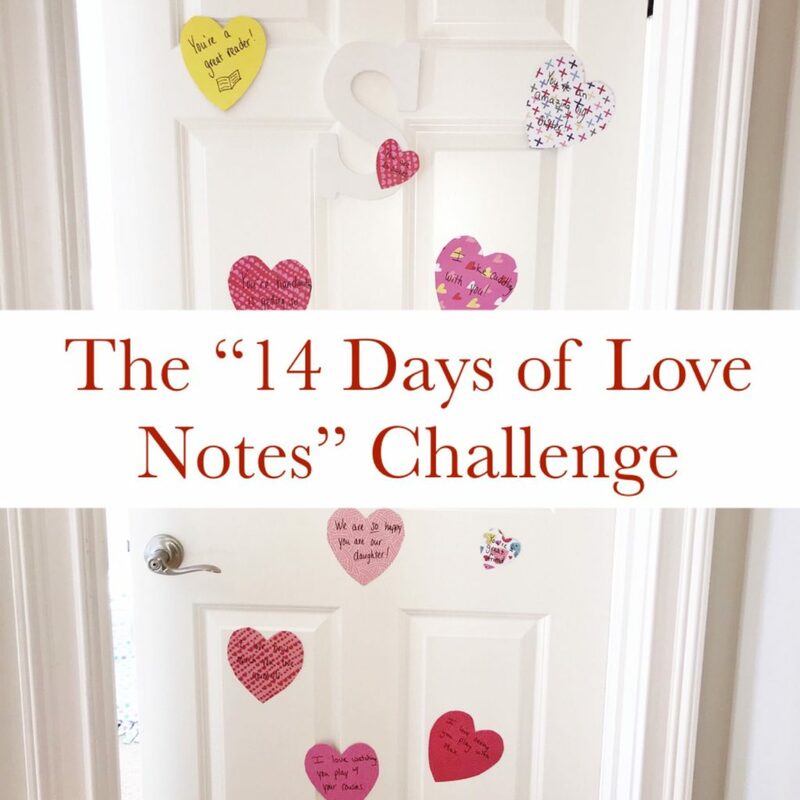 It’s the “14 Days of Love Notes” challenge. 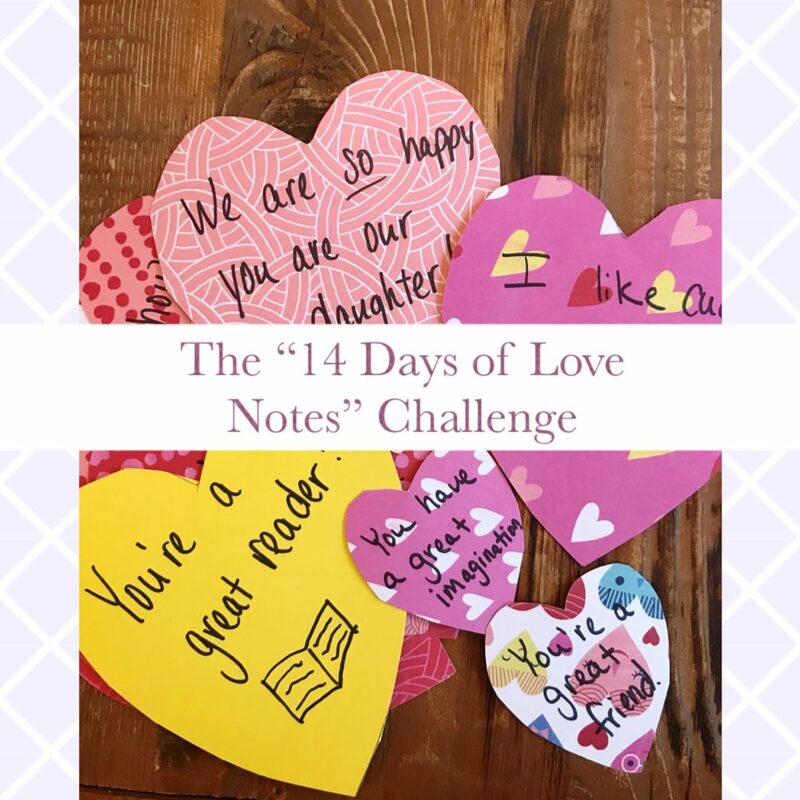 I decided to challenge myself to write one specific note to each of my kids, telling them how much I love them, what I admire about them or what is so special/unique about them every day. I will tape the note to the outside of their bedroom door, with the last note ending on Valentines Day. And I’m so excited about it! What a great way to start their morning…and mine! Of course you can challenge yourself to do this at any point in the year and for any length of time. 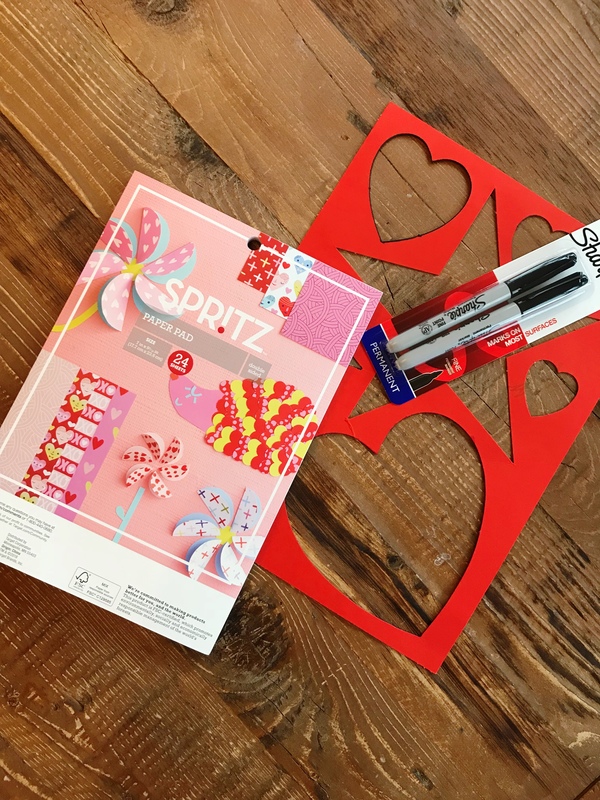 This would be great leading up to a kiddo’s birthday or as a type of Advent calendar. Since we’re getting close to February, starting on February 1st and ending on the 14th, works best for me. 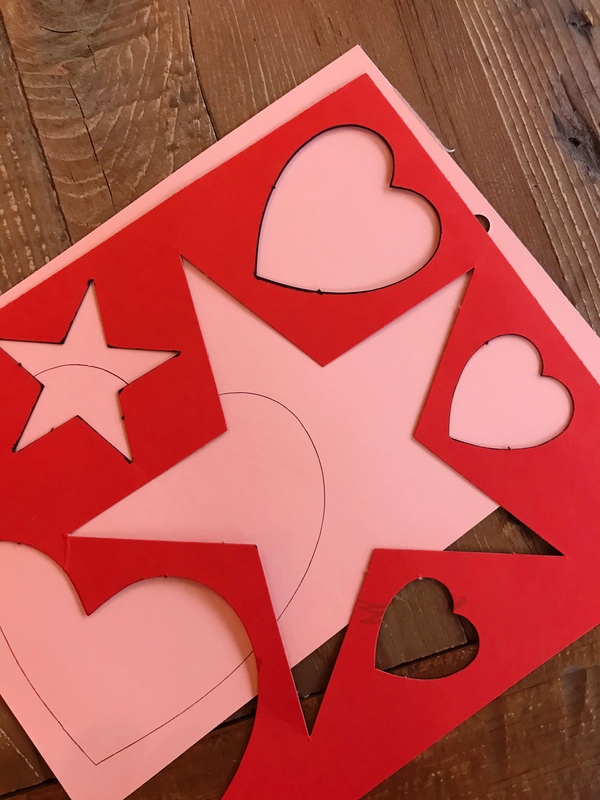 First, I traced the heart stencils (a large and small heart) on the back of each paper so as not to leave any marks on the front. 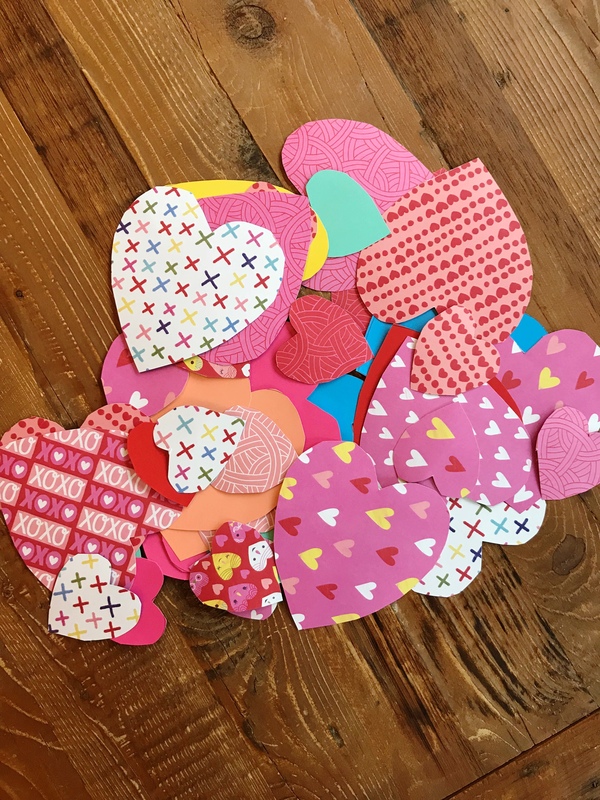 Then, I cut out the hearts. Next, I wrote specific, short notes on each heart. I loved this paper, because if I found a print was too busy, I could flip the paper over and write on the plain, colored side. Lastly, I will tape one note up everyday on each kid’s door. 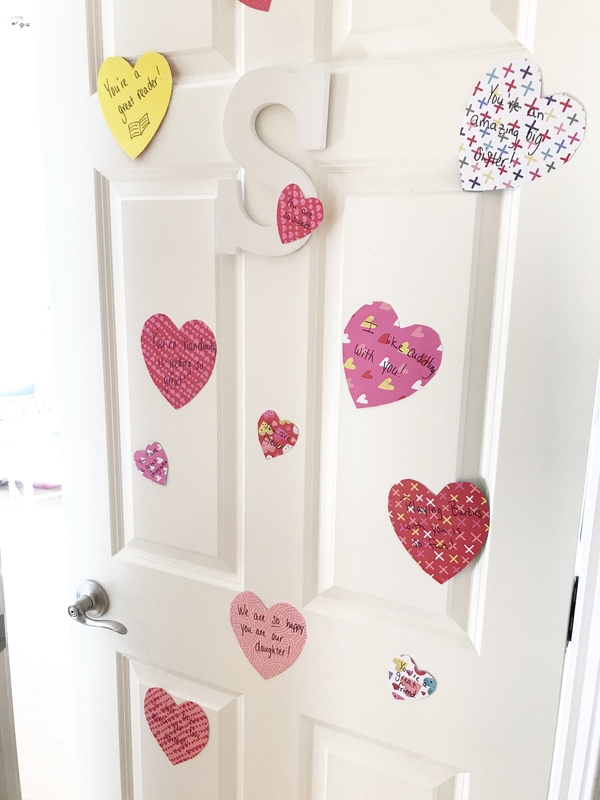 Notes: I temporarily put the hearts up on the door to snap a photo to show you what the finished product will look like. I will be starting this at my house on Friday, February 1st. Feel free to make things easy and only complete one heart a day instead of all ahead of time.